With the high costs of college you may think only serious academics are taking place. But that does not always seem to be the case. Many courses use pop culture and other interests of students to keep them focused. Though these classes may sound bizarre, students can gleam a lot of important information from them. Here are ten crazy courses available at colleges. Lady Gaga not only became a big hit in the music scene but also in the classroom. This course offered by the University of Virginia is one of many Lady Gaga themed classes available at colleges across the U.S. This particular course is an argumentative essay writing class that explores the way social boundaries have been pushed by Lady Gaga. 2. What if Harry Potter Is Real? This may sound more like a game for elementary students but in fact it is a college course offered by Appalachian State University. It is a first year seminar course that uses Harry Potter to look into the nature of history. Much of the course examines sociological issues through the novels and the reactions to them by people in the real world. Chemistry can be a difficult subject to teach, especially when it comes to getting students to connect to the topic. West Chester University in Pennsylvania offers this class which combines chemistry with one of college students’ favorite subjects. One of the goals of this course was to attract non-science majors to a chemistry course and it has been working, especially after word of the field trips to breweries got out. If you somehow made it all the way to college without learning this vital information, Oberlin College in Ohio has a course to help you out. Really this course looks into the interplay of gender, race, class, and sexuality throughout US history by analyzing beauty pageants. It also offers students an introduction into methods for cultural studies and includes a field trip to a beauty pageant. After winning your beauty pageant you may want to take this course from Bowdoin College to know what to do next. This is a first year seminar course that explores what makes a great leader by examining powerful rulers throughout history. It uses readings by Lincoln, Plato, Shakespeare, and Machiavelli among others to illustrate the topic. 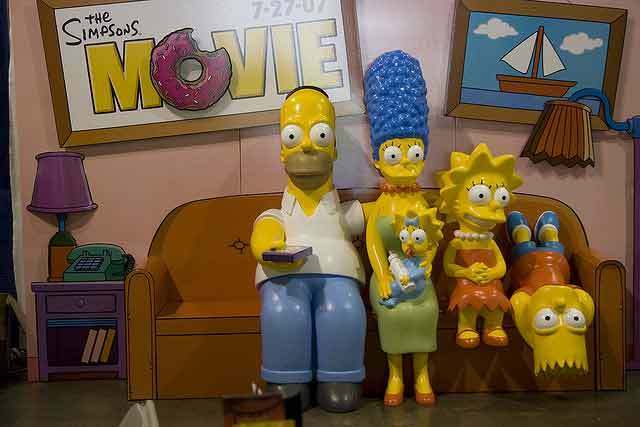 For many years The Simpsons has been one of the most popular television programs in the U.S. That is probably why it has been combined with psychology to form a class at Gettysburg College. It explores psychological processes at work in the show including bullying, narcissism and altruism. Learning can be much more fun when it involves watching television. Another television show that is popular in college courses is Star Trek. Philosophical conflicts were a major part of the program so why not learn about philosophy through it? Georgetown University offers this class which explores metaphysics through episodes of Star Trek and writings by philosophers. Many of the topics covered have to do with the difficult questions the human race may face in the future. Before taking a course involving The Simpsons or Star Trek you may want to attend this one at Montclair State University. Watching T.V. may not seem difficult but you can get some tips from this elective in the Broadcasting Major. 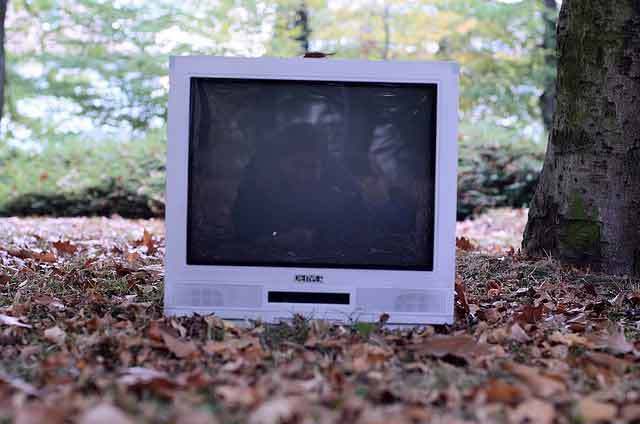 It teaches students to analyze television and the role it plays in their lives and in culture. Watching sports is another thing that, like watching television, you may not have realized a course was needed for. Ohio State offers this class which may not be surprising considering the love of football at that school. Students who are not familiar or maybe just not a fan of U.S. sports can get an introduction in this class. The goal is to develop an appreciation for sports as a spectacle and identify the issues which affect the sports and spectators. International students may want to take this course to help learn about US culture and fit in. You may have thought most of your tree climbing days were behind you by the time you got to college, but that does not have to be the case at Cornell University. One class among their many outdoor activities is tree climbing. It is not as straightforward as you imagine. 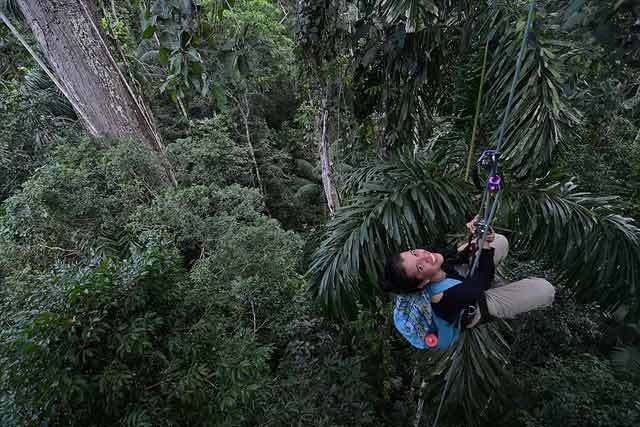 The class actually teaches students how to uses ropes and rigging to climb enormous trees safely, even spending the night in a tree in some cases. Besides the student version, Cornell also offers tree climbing classes to the public. Would you be interested in taking any of these classes? Do you think it is okay for schools to offer courses that seem more fun than serious? 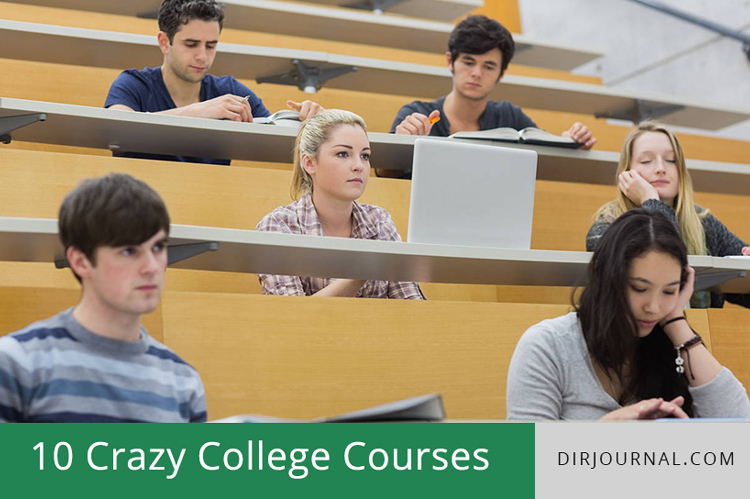 Have you taken any crazy courses before? I wonder if the students who enroll in these classes bother to think about how much debt they are going into to spend their time on such things. I know this site presents quality based posts and other material, is there any other website which offers such information in quality?